Ace Electronics specializes in manufacturing custom cable assemblies and electronics. Ace Electronics is 100% committed to meeting the specialized requirements of our customers to exceed all expectations. Also, our state-of-the-art manufacturing facilities support rapid prototyping, full-scale production runs, and are equipped with the latest manufacturing and test equipment, as well as injection molding machines. We not only pride ourselves on setting high quality standards but in achieving them as well; thus, we are proud to say that we are an AS9100D certified company. While we can supply any off-the-shelf connectivity product, our specialty has always been custom cabling. The engineering- based focus that Ace was founded on has been the key to our success. Our engineering support staff has over 80 years of combined hands-on experience in wire and cable, with many innovations (and a major U.S. patent) to their credit. 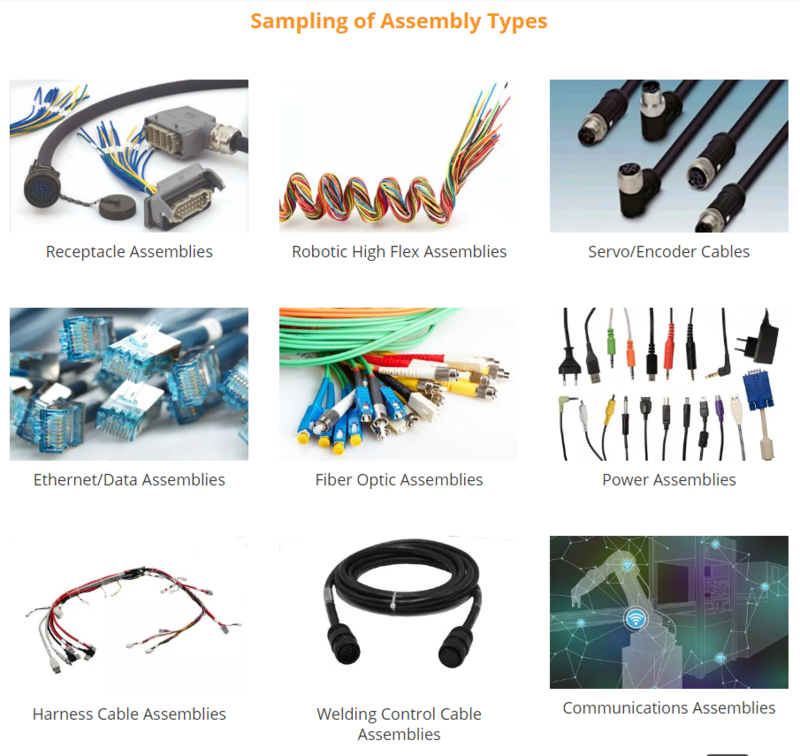 Whether you need a one-of-a-kind custom cable or large production quantities, we’ll evaluate your end-use requirements and, with the help of CAD, quickly recommend the optimum solution to your connectivity needs. As a progressive company, we are always looking for new and creative ways to support our industrial customer base. We excel in working with our customers to provide products that save them both time and money.